-^.^- That is such a cute picture!!! *two thumbs up* You did a good job! wahh fai!! love him! and its such a cute drawing, deff captures his character! the hair is well done! great job! 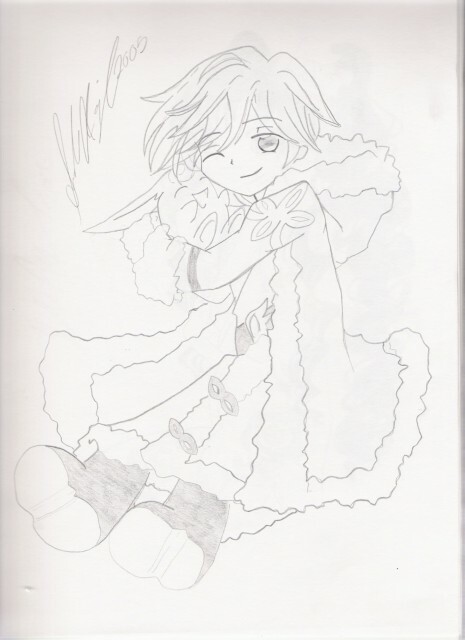 aww~~~ >.< a chibi Fai..
Chibi stuff, always cute and you certainly didn't let us down with this one. He certainly looks really cute the way you pulled him off. Halcyon's suggestions were good too, might want to take them into consideration. *cries* faaaiiiiiiii!! !1 *favorites* thank you thank you thank you ^__^ great job!! 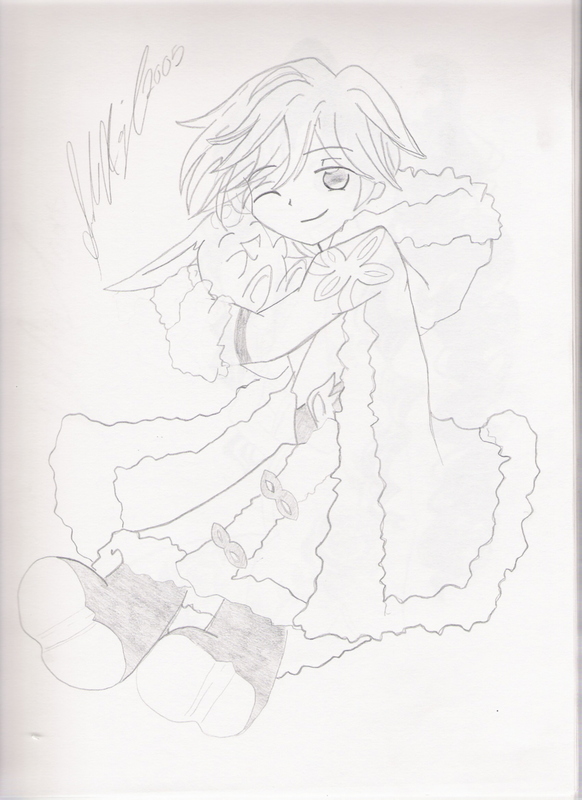 chibi fai looks so cute!! I love fai from ttsubasa chronicle he rocks!!! aww how nice =) very kawaii. i like it a lot. It would be nice if you coloured him though^^ good job, keep up the awesome work!